Huawei Mate 10 Pro vs iPhone X: Reasons why the Mate 10 Pro wins! This Is Not A Smartphone. When a brand proudly proclaims this, you take heed and notice. In many ways Huawei’s Mate 10 Pro set a new standard for the smartphone segment. In a few years, the Mate 10 series could be counted as the moment AI took its rightful place in the smartphone arena. 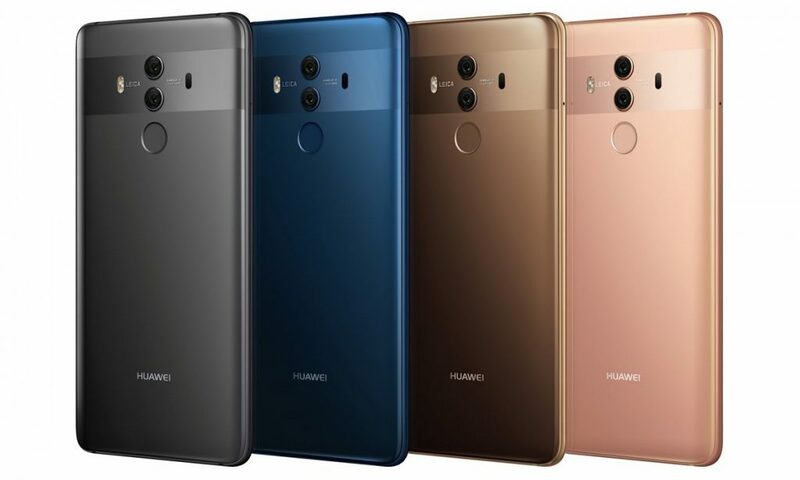 So what truly sets apart the Huawei Mate 10 Pro from a key candidate for smartphone throne, the Apple iPhone X? 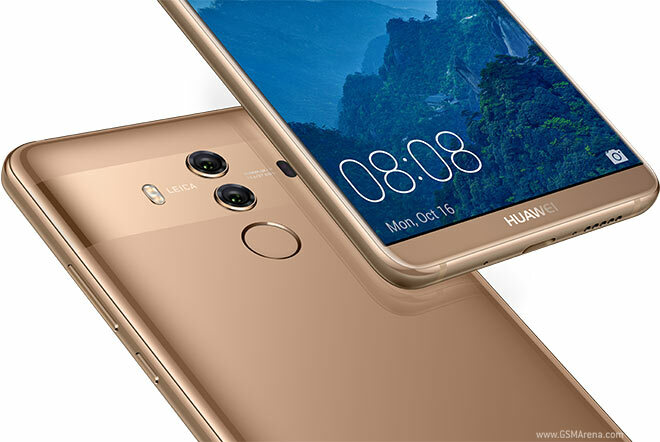 Here are a few reasons why T3 Middle East thinks you need to consider the Huawei Mate 10 Pro as your next smartphone over the iPhone X. Face it, the screen on the Mate 10 Pro is rather brilliant. The 6” FullView FHD+ OLED 2160 x 1080 screen supports HDR 10. 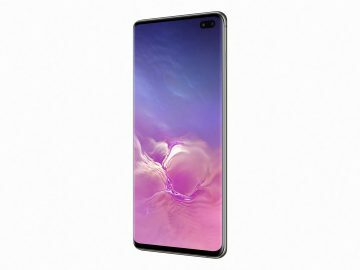 A 81.61% higher screen to body ratio means maximized space, way better than the iPhone X. And you enjoy brilliant color rendering courtesy a 112% NTSC coverage and a 7,0000:1 high contrast ratio. Huawei’s been a pioneer on the dual camera front, and they do not disappoint on The Mate 10 Pro as well. Sure, the iPhone X comes with dual cameras as well, yet while Apple uses 12MP sensors with a f/1.8 + f/2.4 configuration, the Mate 10 Pro has 20MP+12MP sensors with f/1.6 lens on both cameras. And let’s not forget that collaboration with Leica on its camera tech. Meaning over 150 years of expertise from an iconic optics manufacturer to get your humble selfie perfect. Win Win. Most audiophiles will admit one thing: Apple hasn’t exactly been a good influence. The Mate 10 Pro looks to set a few things right, with a quad DAC that can process audio at 384k/32bit. Counter that with the iPhone X that processes audio at 48k/24bit. And if you’re the sort who loves to stream to your hi-end Bluetooth device, the Mate 10 Pro supports the new LDAC bluetooth tech, that can transfer data at up to a brilliant 990kbps. Deep under the Mate 10 Pro’s elegant exterior lies a 2.36 GHz 64 bit Kirin 970 octa core processor with a dedicated NPU (Neural-Network Processing Unit). This is the first ever AI engine on a mobile phone, and the promise is up to 25x faster performance than the CPU and 50 percent better power efficiency. Now this is one area where Huawei score, big time. Consider a massive 4,000mAh battery against the iPhone X’s 2716mAh battery. And it doesn’t stop there. SuperCharge tech ensures a whole day’s use with a single 20-minute charge. And mind you, Huawei’s 15-layer safety system for fast charging is certified by TÜV Rheinland. 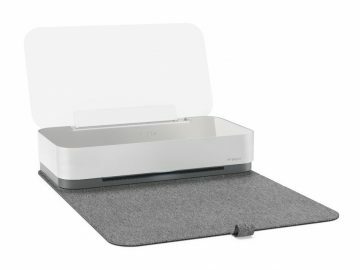 Now we are familiar with the Korean rival’s DeX Station, and Apple too needs you to drop by the Apple Store. 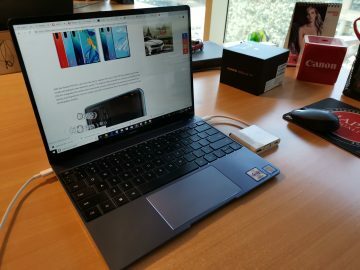 Desktop Mode on the Mate 10 Pro, however doesn’t require a pricey accessory. Pair a Bluetooth keyboard and use a USB-C-to-HDMI cable to link up to an external monitor. Your smartphone just went places!